Honolulu police Lt. Fabian Loo's Taser is outfitted with a video camera. Police officials announced yesterday that 500 of the department's Tasers are similarly equipped, allowing the department to review the circumstances in which the electroshock weapon is used. 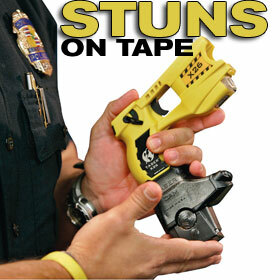 Police officers used Tasers 61 times last year.